We cater to all types of parties. whether it is a children’s party, birthday/anniversary/religious celebration, bridal/baby shower, company picnic, corporate event, or holiday gathering, we can help! We are a family owned and run business. We take pride in our business, and it’s our goal to make sure that our customers not only come back but feel comfortable recommending us to others. 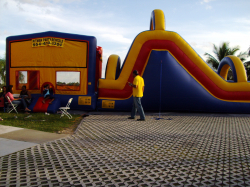 We offer, bounce houses, water slides, combo units, fun food machines, tables, chairs, linens, inflatable games, chocolate fountains, tents, wedding arch, balloon decorations, party planning, plus much more. We are licensed and insured and have been in business since 2003. Pitman Party Rental is the place to rent from if you want friendly, reliable and helpful service. We started this business because we love what we do. 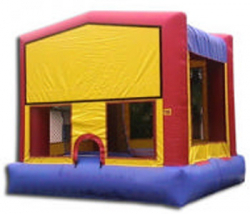 Bounce Houses, an affordable way to keep the children happy at your next party! Fantastic company. They are a joy to work with!